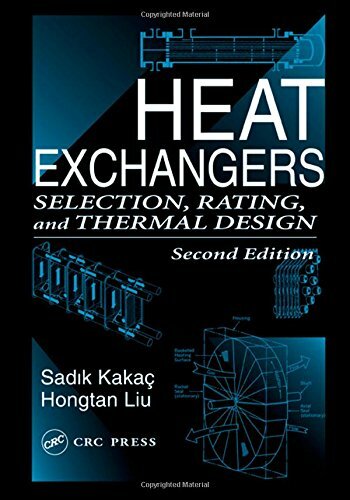 Researchers, practitioners, instructors, and students all welcomed the first edition of Heat Exchangers: Selection, Rating, and Thermal Design for gathering into one place the essence of the information they need-information formerly scattered throughout the literature. While retaining the basic objectives and popular features of the bestselling first edition, the second edition incorporates significant improvements and modifications. The authors take a systematic approach to the subject of heat exchanger design, focusing on the fundamentals, selection, thermohydraulic design, design processes, and the rating and operational challenges of heat exchangers. It introduces thermal design by describing various types of single-phase and two-phase flow heat exchangers and their applications and demonstrates thermal design and rating processes through worked examples, exercises, and student design projects. Much of the text is devoted to describing and exemplifying double-pipe, shell-and-tube, compact, gasketed-plate heat exchanger types, condensers, and evaporators. The first edition of this work gathered in one place the essence of important information formerly scattered throughout the literature. The second edition adds the following new information: introductory material on heat transfer enhancement; an application of the Bell-Delaware method; new correlation for calculating heat transfer and friction coefficients for chevron-type plates; revision of many o f the solved examples and the addition of several new ones.